Located in Scottsdale, Arizona, Tal Barkel has been designing jewelry for over 20 years. 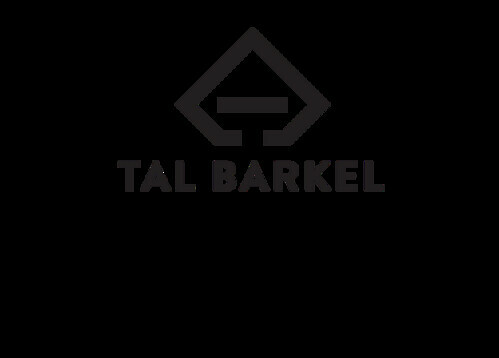 We are so excited to have Tal as one of our sponsors, as we love his designs and innovative techniques. As a designer, Tal loves supporting other creators and showcasing them as “featured artists” in his showroom. His latest featured artist is Boaz Kashi who, like Tal, hails from Israel. 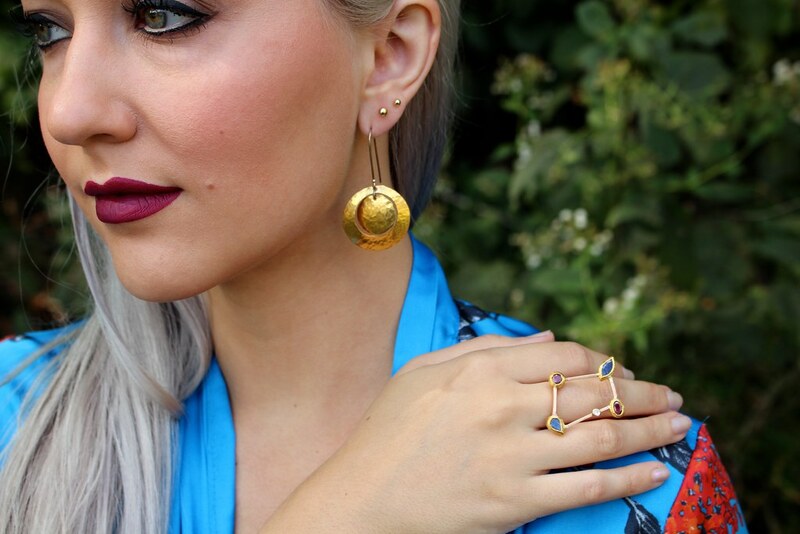 Boaz Kashi is a fifth generation jewelry designer who mixes various alloys and textures to create gold pieces that look as if they were excavated ancient treasures. He also has an affinity for powerful works that draw inspiration from a mix of nature, science and history. 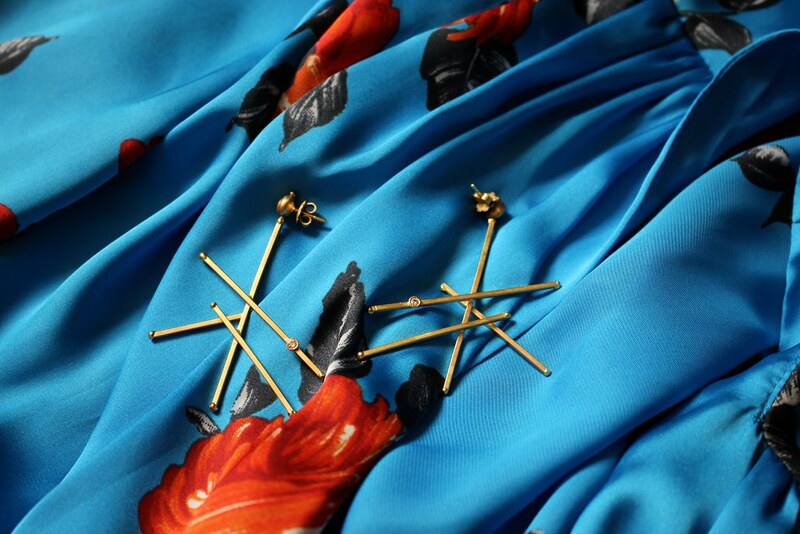 He works with a vast array of materials and combines unexpected elements; gold and lava stones, silk and platinum, precious gemstones and ebony. For this feature, I chose my top five favorite pieces from Boaz Kashi and as you can see, his work really does have an ancient and “hidden treasure” feel to it. 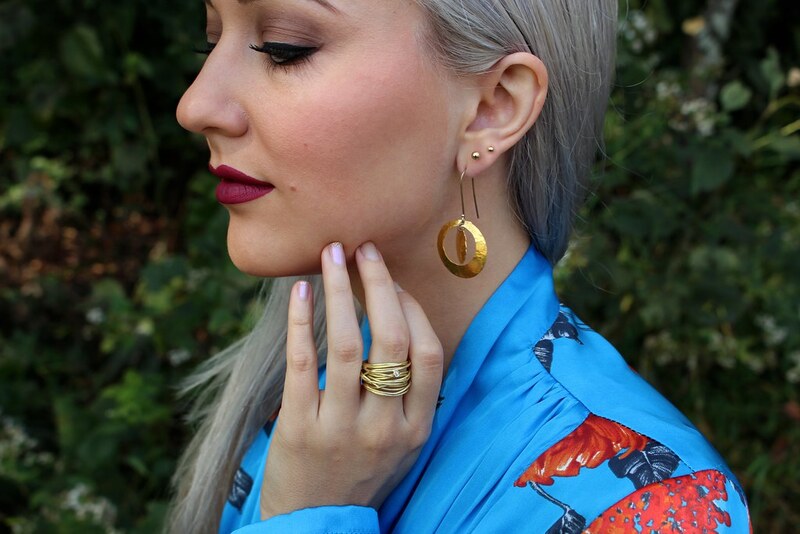 I was in complete heaven wearing these stylish jewels–below I break down each piece and talk about how I see them being worn. Hope you enjoy! 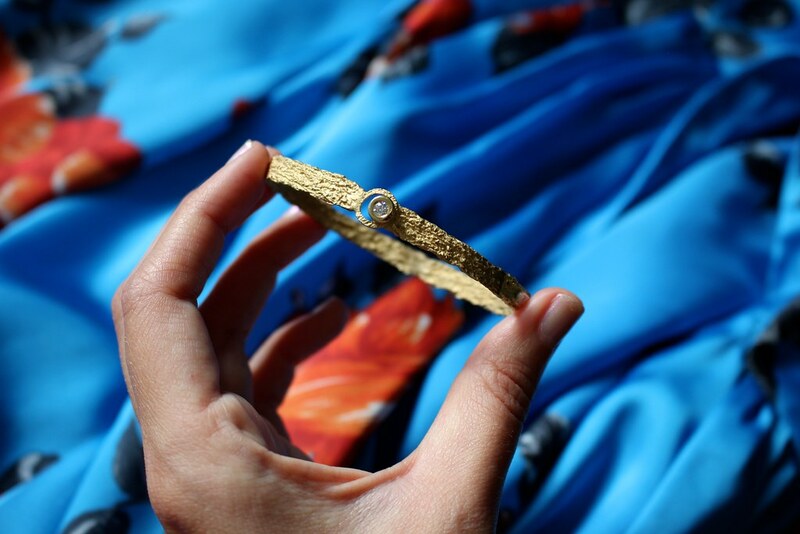 This incredibly chic yet rugged bracelet is perfect for everyday wear! It easily slides on the wrist, with the bezel set diamond acting as a button. I could see it stacked with other bracelets, perfectly blending in and creating a beautiful look, or it even looks wonderful worn solo. It’s modern, it’s simple, and the texture of it is my favorite part. 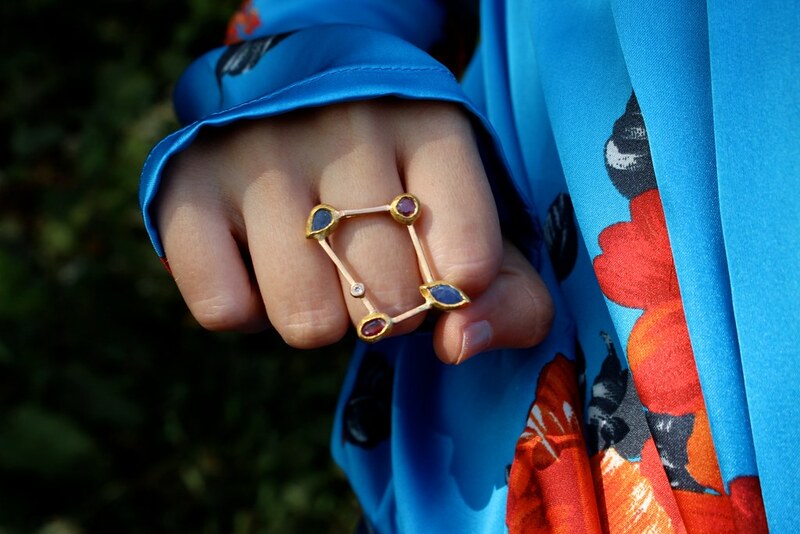 This ring is totally my style and it caught my attention right away. 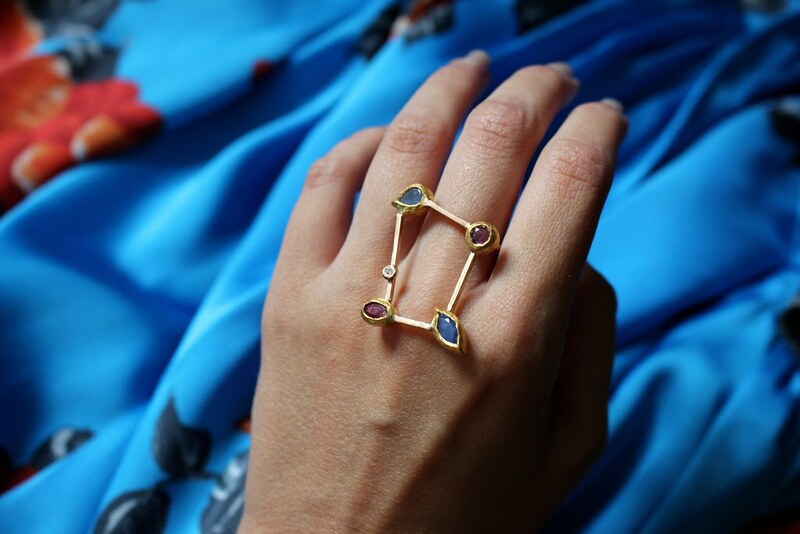 I love the uniqueness of it–the crazy geometric shape of it and the gemstones used. I didn’t expect this ring to fit so nice and comfortably on the hand, but it totally does! It drapes along the knuckle and makes a bold statement. I think it can be worn either way, which is why I love the versatility and everyone will stop and stare, guaranteed! 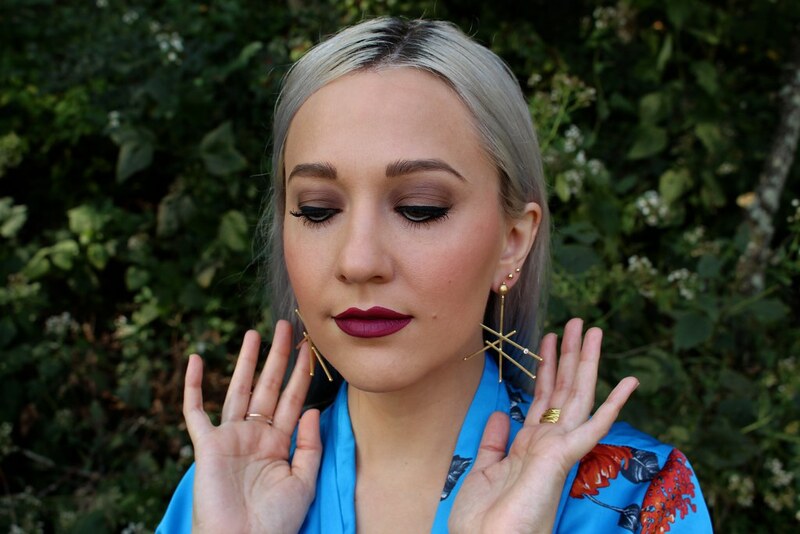 These earrings had me feeling elegant and out-of-this-world! 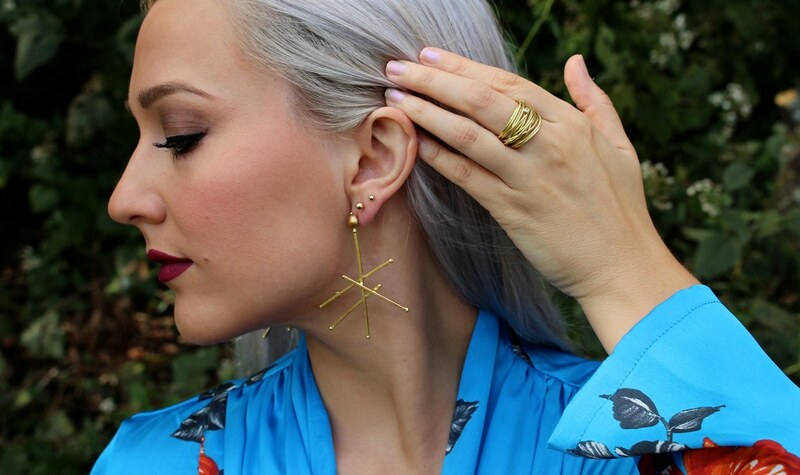 They’re so bold and beautiful, they instantly transform any look. I think these would be great worn for an event or special party, with hair sleek and pulled back, sort of wet in style like I have mine. They’re certainly loads of fun to wear and as you’ll see in the video below, they pivot while the post stays put. What a cool design element! 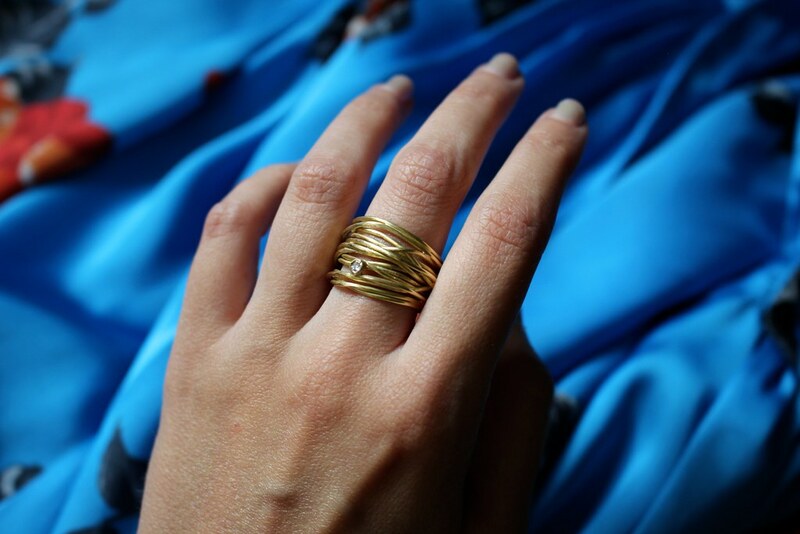 Like a golden wire wrapped around your finger multiple times, this heavy yet comfortable band is my ideal everyday ring. This could also be a great option for anyone looking for a unique wedding ring as an alternative bridal option. The possibilities are endless! These are another fun pair of earrings, having a hammered finish and lots of movement when worn. 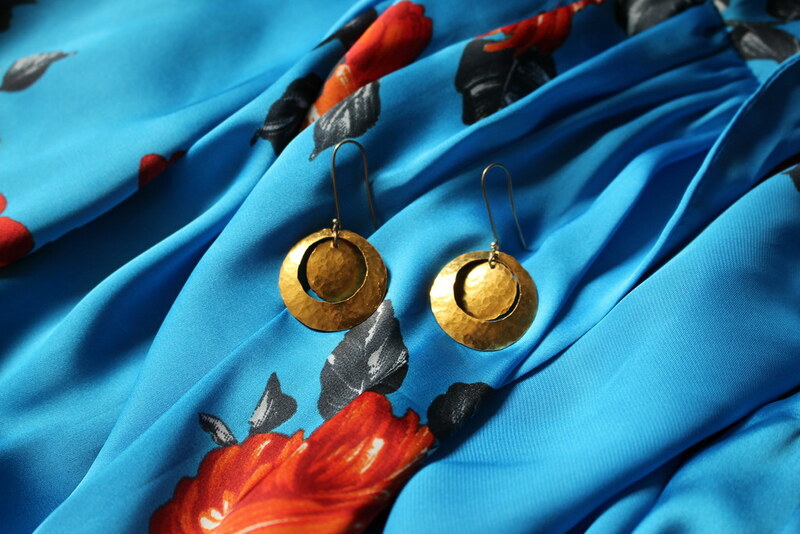 They’re light enough to be worn everyday and seem like a great pair of vacation earrings. When I put them on, I instantly wanted to dance! Can you tell? !